At Southern Nevada’s Summer Time Pools, we can guarantee you that isn’t going to happen with us. With more than ten years of industry experience, we understand the importance of staying on top of a client’s needs. 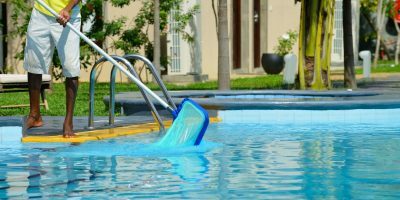 We also know that, since a commercial swimming pool is used regularly, it requires diligent upkeep to ensure that it looks and performs at its best. That’s why we provide a routine maintenance schedule. When we arrive, we’ll check pH levels, clean filters, and baskets, and make sure it looks perfect when we leave. Plus, our team is certified by the Southern Nevada Health District to maintain proper chemical levels and operate equipment in a safe manner. Need to schedule service or book a repair visit? No problem, since we make it easy to contact us. If you have questions or you’re ready to get started, contact us online or by phone today.